A high voltage switching device used for power transmission applications in electric devices, inverters, and power supplies is known as Electric plug & sockets. At present, it is popularly used in residential, commercial, and industrial segments to improve switching speed and improve shock resistance. Increase in demand for advanced electric plugs and sockets and rise in residential plugs & sockets installation have led to the higher adoption of electric plugs and sockets in residential buildings, commercial centers, automotive, consumer electronics, and other industries. Among various end users, industrial segment is anticipated to be the most lucrative segment for the market players in the near future. However, the decline in some of the industrial activities such as mining could hamper the market growth. Three-pin electric plugs and sockets is the leading type among various electric plugs and sockets as it offers better safety and high shock resistance as it has two-pins for power transmission and one for earth connection. The Asia-Pacific market has generated the maximum revenue on a global level as many manufacturers have a strong market share in China. Moreover, Asia-Pacific it also offers an opportunity for this market owing to its high-energy demand and high voltage industrial applications. 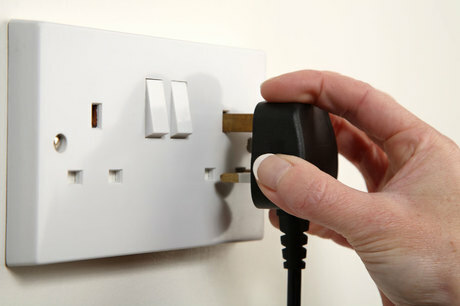 Major factors that influence the global electric plugs and sockets market include rising construction & development activities, the swift rise in residential electric plug & socket installation, rising government spending in infrastructure projects, increasing demand for dust-proof and splash-proof plugs & sockets and decline in the mining industry. While some of these factors, such as rising construction & development activities, swift growth in the rise in residential electric plug & socket installation, and rising government spending have the positive impact on the market growth; decline in mining industry acts as the restraint to the market growth. The key players are investing in improving the manufacturing techniques and the current set of products, besides enhancing their profitability to gain a competitive edge over other market players. These players adopted product launch as the key developmental strategy in order to keep pace with the constantly increasing demands of end users. Under this strategy, several companies have launched new and advanced technology solutions, such as advanced electric plug & sockets with enhanced safety and durability. Furthermore, the leading companies have also entered into strategic partnership with their competitors to improve their product range specifically related to the electric plugs and sockets segment and boost the sales & distribution process. Eaton Corporation PLC., Schneider Electric SE, Amphenol Corporation, ABB Group, and Koninklijke Philips N.V dominated the market in 2016 globally. Other players are Legrand SA, Emerson Electric Co., Wenzhou Chmag Electrical Co., Ltd., WorldConnect AG - SKROSSPalazzoli Group and Hager Group.